Groen Parts | Groen Kettle Parts | Parts Depot Inc.
Groen Replacement Parts to Keep You Cooking! Groen kettles are efficient and effective, but that isn’t to say that they won’t have their problems. Say, for instance, your tangent draw-off valve isn’t opening properly, or even worse, it’s leaking. You need to remedy this problem and you need to do it quickly. That’s where Parts Depot comes in. We know how important it is to keep your Groen kettles running well, so we supply the parts you need and we do it with urgency. As a leading restaurant part supplier, we carry the parts to get your Groen kettles back in action. From stems to knobs to many others, we have an extensive inventory and work hard to get you the parts that you need. Not only do we carry a wide array of parts, we also provide many different options. Do you want a part that was made by the original manufacturer? We have OEM parts to suit that preference. Are you looking for a more economical option? We have aftermarket parts that can help you repair your kettle AND save money. Get Your Groen Parts Quickly! As part of our commitment to excellent customer service, we provide the quickest and most convenient access to the parts you need. Maybe you’re in the neighborhood and you don’t want to wait for the part you need to be delivered. We’d be glad to invite you to our Brooklyn location to pick it up directly from us. Even if you aren’t local, we use a quick and efficient shipping process to ensure that you get the parts you need within a very short time. At Parts Depot, we make getting your Groen parts as easy as possible. Don’t See the Groen Parts You Need? Let us Know! While we have an extensive list of restaurant replacement parts in our inventory, there is a chance that you haven’t found the exact part that you need. Don’t worry about continuing your search, though, that’s our job. At Parts Depot we know our customers are busy, so we don’t want them wasting time searching for hard-to-find parts. If you need a part that we don’t have listed, contact us right away and we will help you get it. Contact us today to order your Groen Replacement Parts! 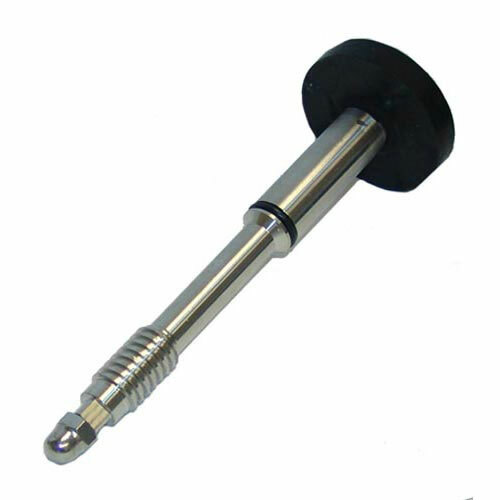 GN-100 009027 STEM 1 1/2" $120.00 BUY NOW! GN-101 009048 stem 2" $130.00 BUY NOW! GN-102 001908 Stem 3" $260.00 BUY NOW! GN-103 009029 knob $10.00 BUY NOW!